Head of Geography within GSE, David Wood’s One Year On review: 1 Year = 22 days! 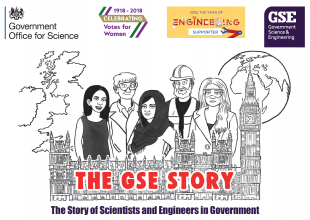 It’s been one year since I started as the first cross-Government Head of Geography within the Government Science and Engineering (GSE) profession, which I do 2 days a month (hence the 22 days!). This is on top of the day job where I’m Deputy Director for Analysis and Performance at HM Courts and Tribunals Service. A year ago, it was just me, but now I’m now joined by over 450 members in over 30 organisations. I am also joined by 11 deputy heads of geography who, like me, are giving up 1-2 days a month to help grow Geography in GSE. So, we’ve grown a great deal in a year . HoG David Wood in the centre surrounded by 11 deputy heads of geography. I am pleased to launch the GiG awards. The awards recognise the impact and contribution geography makes across the GSE profession. The winners of the five individual categories (advancing geospatial data science, contribution to the profession, operational delivery, impact on policy and excellence in geo-visualisation & cartography) will be presented at the inaugural GSE GiG Awards Event, whilst the overall GiG award will be presented at the prestigious annual Royal Geographical Society (with IBG) awards ceremony, so please get nominating! Please find full details and nomination forms linked below. Nominations close on 1st March 2019. 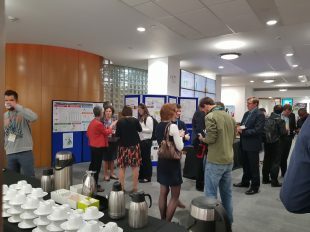 Geographers at the Geography in Government conference. But there’s lots more that I want us to do to grow a high profile, proud and effective geography profession which attracts fresh talent and has a secure place at the heart of government decision making. This year we’re looking to have more regular seminars and events in addition to our second Annual Conference. 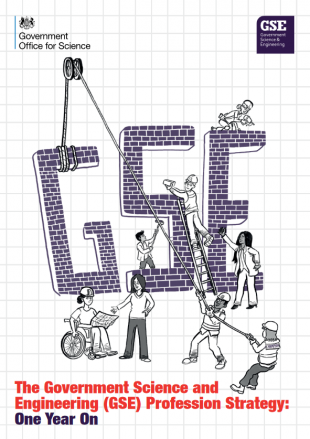 I want us to publish our first topic notes and build on the GSE mentoring offer to signpost our members to the wider support they can receive. 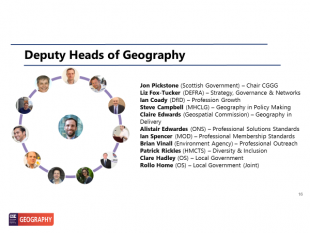 Together, we will continue our work with the Geospatial Commission, other professions within Government and the Royal Geographical Society (with IBG) to map the future of the profession, so expect to hear a lot more from us all in 2019! You can follow me @GovHeadGeog and join Geography in GSE here (making sure that you identify yourself as having an interest or skills in a relevant discipline in Question 11 (e.g. 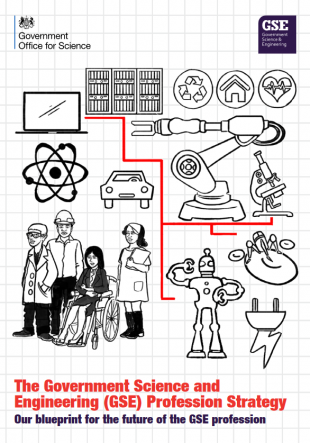 geography, geospatial or cartography). The GSE Geography in Government Awards 2019 Full details. All nominations must be submitted to GiGawards@justice.gov.uk on the nomination form and be no longer than 500 words. 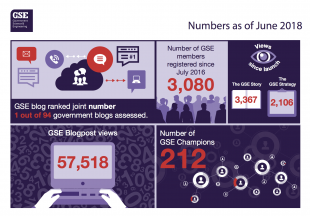 Sign up to the GSE blog to receive an email when a new blog is published and keep up to date with the work of the GSE profession.